As co-organizers of Furnishing Utopia, L&G Studio proudly art directed the 2018 exhibition. 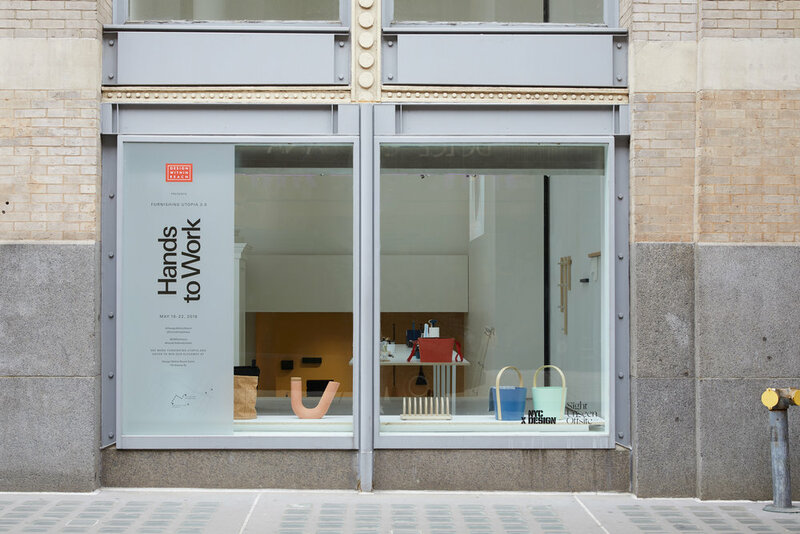 Presented by Design Within Reach during New York Design Week 2018, 'Hands to Work' exhibit opens up a new dialogue transcending Shaker aesthetics and exploring the virtues of focused work and cleanliness that the Shakers regarded as a path to enlightenment. 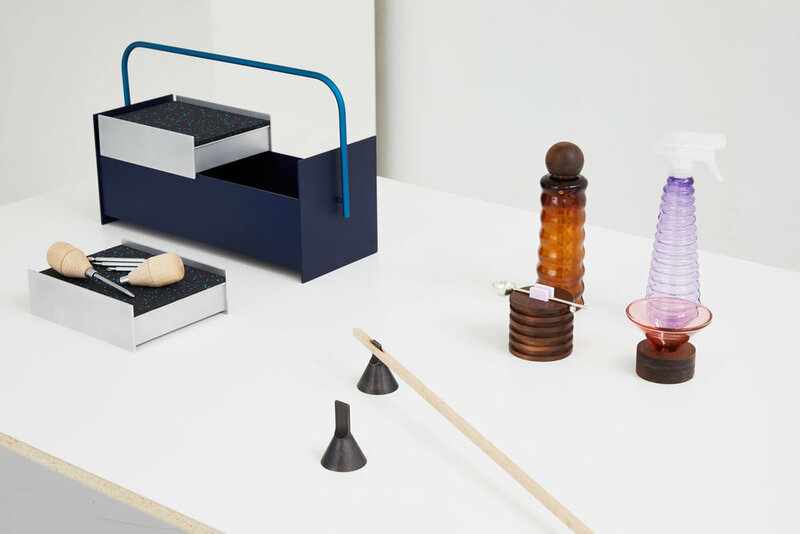 Hands to Work features a curation of 50+ new objects by 26 international designers exploring a more virtuous way of living through ritualizing the everyday mundane and proposing a renewed sense of engagement between humans, objects, and their environment. Alongside designing products for the collection, L&G Studio played a lead organizational role in this show: styling and coordinating the space, workshops, studios, photography, and graphic collateral to help the team realize this meaningful project. The exhibition programming was designed to engage views senses through special installations, which augmented the displayed body of work and reiterated the theme: A Sensory Isolation Room engaged visitors to interact with cleaning tools on another level and a large scale video projection (in collaboration with Charlie Shuck and Natasha Felker) artfully explored mess-making and clean up alike. The exhibit also hosted a lively panel discussion on chores and Shakers with artist Tom Sachs and Jerry Grant, a leading Shaker scholar from Mt Lebannon Shaker Museum, narrated by Chris Specce. 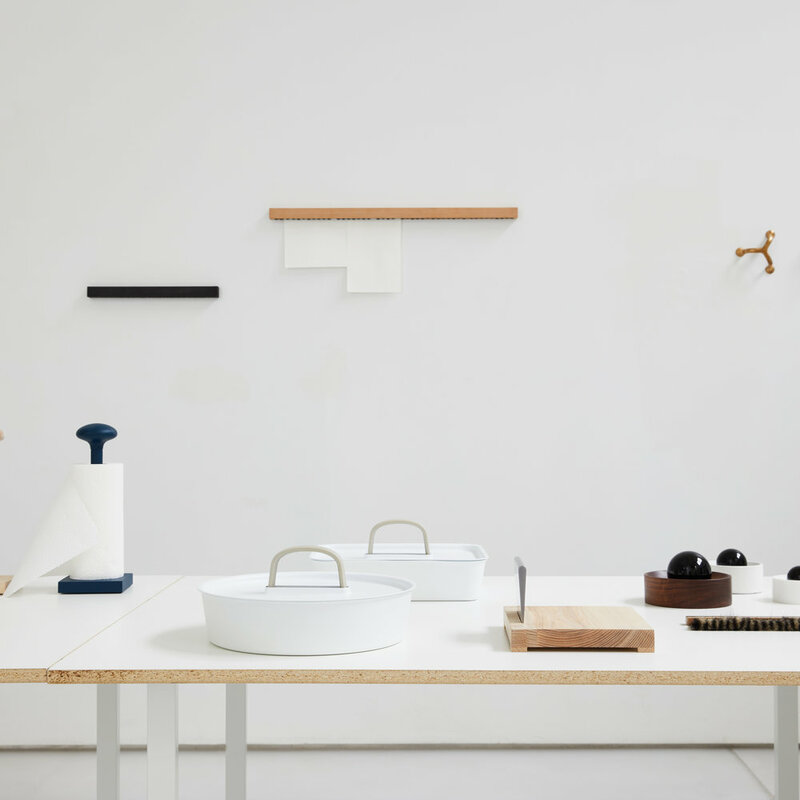 Furnishing Utopia project is led & curated by L&G Studio, Studio Gorm, and Chris Specce. Creative direction by L&G Studio. Product photography and videos by Charlie Schuck with Natasha Felker, exhibit photography by Christian Torres. Furnishing Utopia is generously supported by Design Within Reach and the Norwegian Consulate.